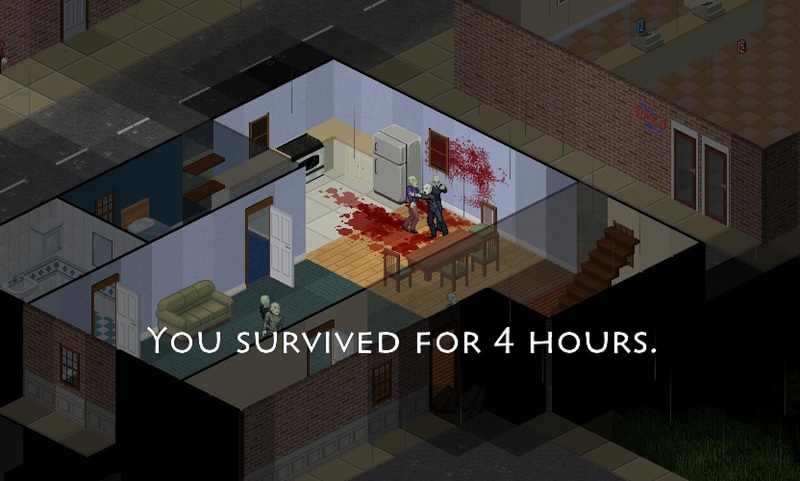 Project Zomboid isn't entirely free, but there's a free version that lets you do pretty much everything that the full game does, or will when it's finished. I'm not explaining that terribly well. There's a basic free version of PZ but you can also pay a couple of quid for a slightly more updated version which will also get you the full version when it's done. Okay, so it's a zombie survival game and there have been quite a lot of those recently. But Project Zomboid differs in that you're not going to win. The game starts by telling you that you've already died and now you're going to re-enact the moments leading up to your demise. You begin in a house with a wife who's a bit hurty. You're going to have to do what you can to make her more comfortable and scavenge supplies to keep you alive. You'll have to combine items to create what you need. Get hold of a hammer and nails and you can barricade your home with wooden planks. Some bottles, rags and a lighter and you've got yourself an armful of Molotov cocktails (that are as much a danger to you as to the walking dead). Lots of factors affect your survival and you'll need to be careful to make sure you get enough rest, keep yourself healthy and even treat yourself for depression. 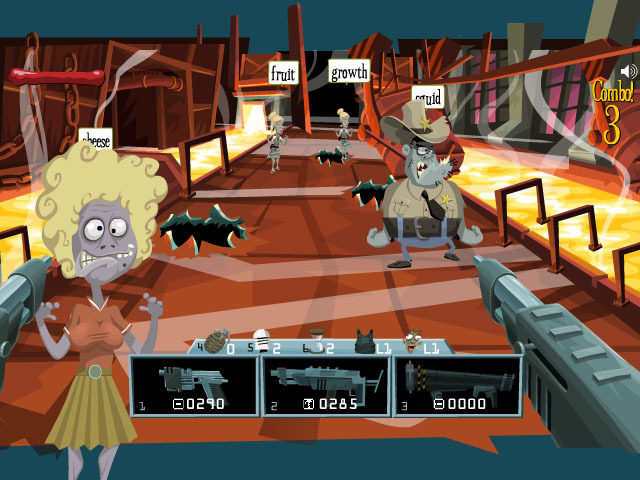 Zombie Typocalypse is a stupid little browser game that I came across when looking for ways of getting Typing of the Dead (Sega's surprising House of the Dead typing tutor) to work under Windows 7. It's a very simple game where zombies shamble down a hallway towards you and you can stop them by bulleting them to death. Rather than point and click, your gun skills rely on your typing. Type the word over a zombie's head and you'll let fly with the lead. Quicker and more powerful weapons and ammunition can be bought with the money you earn for slotting zeds which does seem a little like a vicious circle, but it's a fun game for ten minutes on a Friday. I want the Day Z one! Writing it now. It'll be up on Monday.